The training is open to anyone interested in improving water quality in the Bastrop region. Participants are encouraged to pre-register at http://tws.tamu.edu. 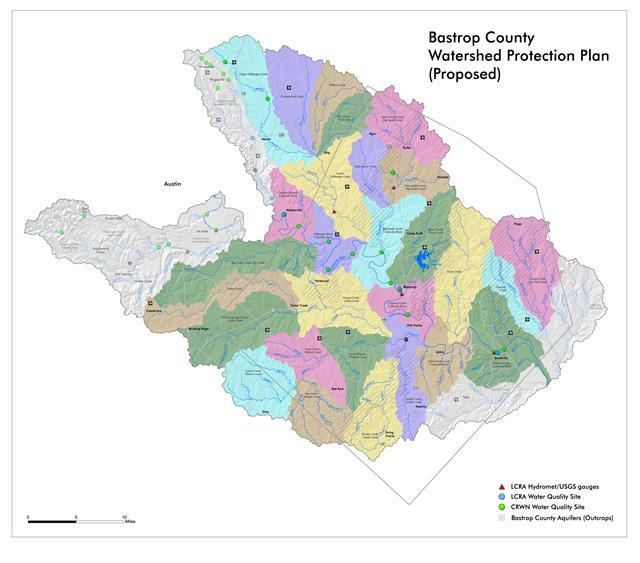 For more information about the Bastrop County Initiative visit our Watershed Protection Plan and Bastrop County Watershed Protection Plan pages and Bastrop Watershed Workshop Flyer. The workshop is presented by the Texas AgriLife Extension Service and the Texas State Soil and Water Conservation Board in coordination with Environmental Stewardship, a regional non-profit organization working to protect and restore natural resources in the area. “The workshop is designed to help watershed residents improve and protect their water resources by becoming involved in local watershed protection and management activities,” said Galen Roberts, AgriLife Extension program specialist and coordinator for the Texas Watershed Steward Program. Roberts said the workshop will include an overview of water quality and watershed management in Texas, but will primarily focus on water quality issues relating to the Colorado River, including current efforts to help improve and protect water in the area. The training will include a discussion of watershed systems, types and sources of water pollution, and ways to improve and protect water quality. There also will be a group discussion on community-driven watershed protection and management. This workshop is being held in conjunction with ongoing protection efforts in the Colorado River watershed. 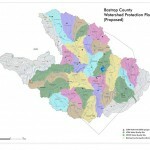 Environmental Stewardship, in coordination with the Lower Colorado River Authority and Texas Parks and Wildlife Department, has proposed the development of a watershed protection plan for Bastrop County. He said the plan would encompass over 655,000 acres in thirteen sub-watersheds in Bastrop County and extend into parts of Caldwell, Fayette, Lee, and Travis counties. The plan would outline a strategy for protecting water quality in the area and help prevent future water quality impairments. Addressing these issues now can help prevent regulatory action in the future, Box noted. “We encourage stakeholders to attend the Watershed Steward Workshop and to become more engaged in these efforts,” Roberts said. Along with the free training, participants receive a free copy of the Texas Watershed Steward Handbook and a certificate of completion. The program also offers seven continuing education units in soil and water management for certified crop advisors, seven units for professional engineers and certified planners, and seven continuing education credits for certified teachers. It also offers three general continuing education units for Texas Department of Agriculture pesticide license holders, seven for certified landscape architects and three for certified floodplain managers. Preregistration is available through the Texas Watershed Steward website, http://tws.tamu.edu. “Participating in the Texas Watershed Steward program is a great opportunity to get involved and make a difference in your watershed,” Roberts said. For more information and to preregister, go to http://tws.tamu.edu or contact Galen Roberts at 979-862-8070, groberts@ag.tamu.edu or Steve Box, steward@envionmental-stewardship.org. For more information about Environmental Stewardship and the watershed protection plan go to our Watershed Protection Plan and Bastrop County Watershed Protection Plan pages.